What should we do with these? 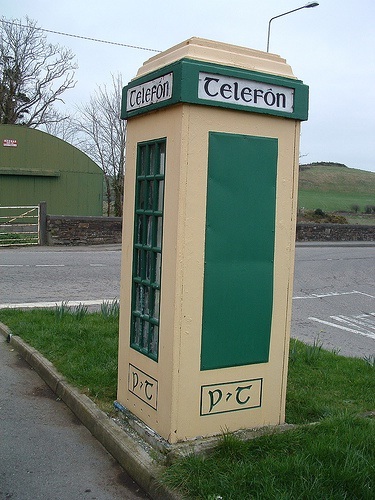 Around Ireland we have a lot of phone boxes that are pretty much redundant, now that we all have at least three mobile phones to hand. The old concrete boxes are a sure sign you are in Ireland. Maybe we could remove the phone entirely and replace it with vending machines, for all sorts of handy stuff, like mini screw drivers, or lucky dip boxes with plastic crap inside. In the end there was only two of us left.